A vehicle relearn has always been required during sensor replacement and various other sensor or tire service work. But now, some ‘universal’ aftermarket sensors also require sensor programming or cloning prior to installation and relearn. This is a new, added step beyond the vehicle relearn, and it requires a manufacturer-specific programming tool and specialized software for the sensor programming or cloning process. The tool and software are additional costs for the technician, above and beyond the tools needed for OE-style vehicle relearn procedures. Aftermarket “universal” sensors that arrive blank have to be programmed for the vehicle application before you can use them. Technicians need to follow specific sensor programming instructions, some of which are complex enough to require their own training module. 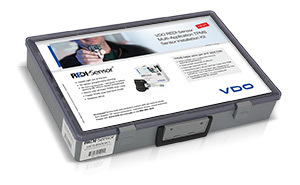 In contrast, the multi-application VDO REDI-Sensor arrives preprogrammed and follows OE vehicle relearn procedures, saving you time and money. REDI-Sensor has the ability to work with multiple vehicle applications, but it doesn’t require an extra sensor programming / cloning step or specialized tools and software that aftermarket ‘universal’ TPMS sensors require. 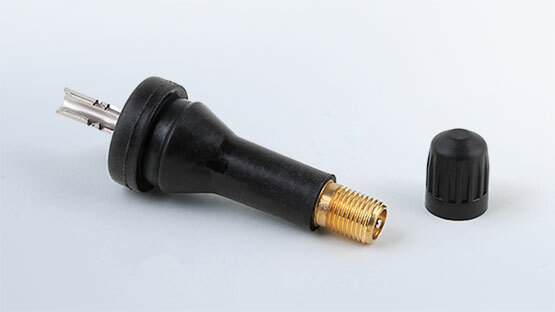 And, because the multi-application REDI-Sensor is designed to follow the OEM vehicle relearn procedures, any TPMS scan tool that can be used to do a relearn with the OEM sensor can also be used with the VDO REDI-Sensor. Some TPMS manufacturers suggest that when using programming or cloning, performing the OE-recommended relearn process is not necessary. However, failing to perform a complete TPMS relearn can result in faulty pressure readings and system failures. The TPMS relearn process is established by the vehicle manufacturer to confirm the functionality of the TPMS system and ensure that the system is fully functional. By using the correct relearn procedures, you can ensure that the service has been completed fully and that the entire TPMS system is in proper working order.